The dengue research news coming out of medical entomologist Thomas Scott's lab at the University of California, Davis, is certainly exciting. 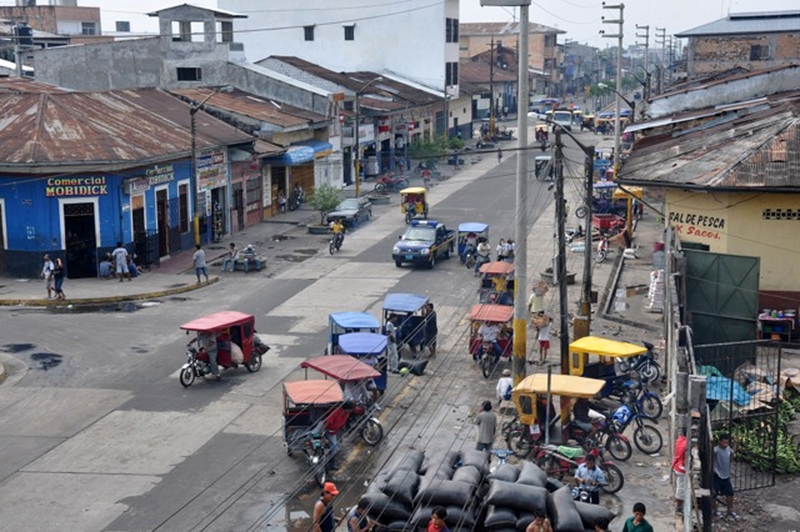 The research site is Iquitos, nestled in the heart of the Amazon rain forest of northeastern Peru. It's considered one of the world’s primary “open laboratories” to study the transmission of the virus. The Aedes aegypti mosquito is a day-biting mosquito and we humans are its favorite host/target. The ground-breaking research shows why it's crucial to focus on people movement, not just on the traditional mosquito control-and-prevention methods, such as applying insecticides and eliminating water-filled containers that can provide a larval habitat. 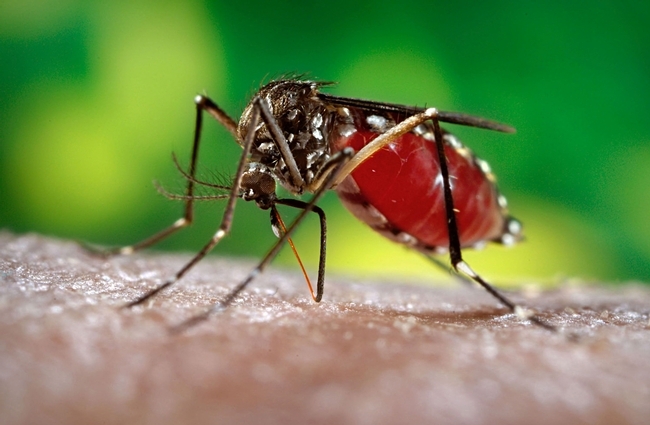 As lead author/medical entomologist Steve Stoddard said: "This finding has important implications for dengue prevention, challenging the appropriateness of current approaches to vector control." 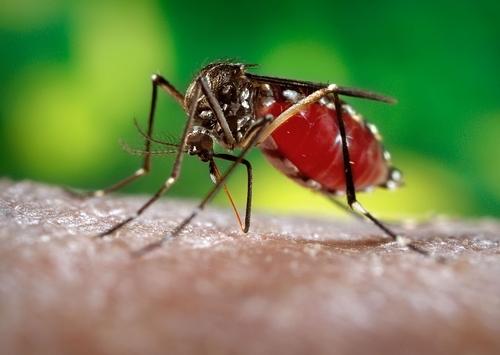 Said Scott, professor of entomology at UC Davis and director of the Mosquito Research Laboratory: “Dengue takes an enormous toll on human health worldwide, with as many as 4 billion people at risk—half of the world’s population--and 400 million new infections each year. The results from our study are focusing attention to the role human social networks in virus invasion and epidemic spread. Bottom line: The scientists found that people movement not only defined individual infection risk and local patterns of incidence, but resulted in the rapid spread of the virus and marked heterogeneity in transmission rates. Next phase of the research? It's aimed at "understanding how variation in human behavior influences transmission and applying that knowledge in enhanced disease prevention strategies,” said Scott, the principal investigator of a National Institutes of Health (NIH)-funded grant. With some 4 billion people worldwide at risk, and with 400,000 million new infections each year, dengue is indeed taking its toll. 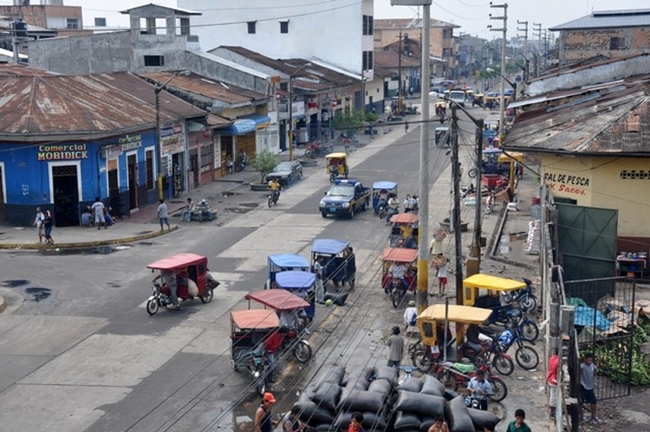 Every year some 500,000 people with severe dengue are hospitalized, and 2.5 percent die. It's Halloween tomorrow (Wednesday) but what's really frightening is Aedes aegypti, a mosquito that transmits the deadly dengue. According to the World Health Organization (WHO), dengue is the world's most rapidly spreading mosquito-transmitted disease. Some 2.5 billion people, or about 40 percent of the global population, are at risk from dengue, WHO says. The disease infects between 50 to 100 million people a year. The most severe form afflicts some 500,000 a year, killing an estimated 2.5 percent or 22,000. 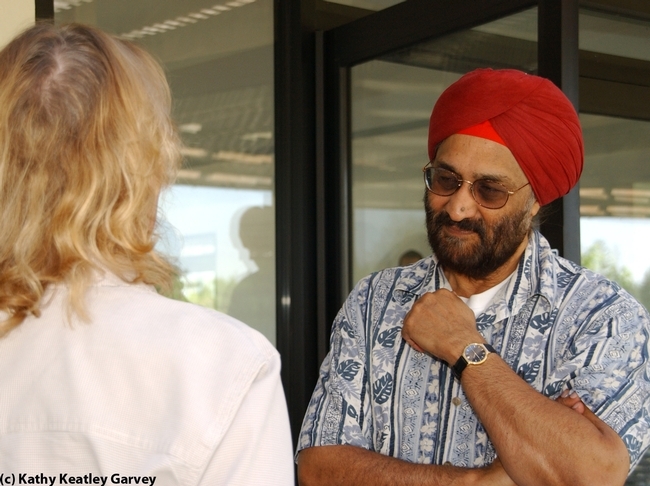 Enter Sarjeet Gill, professor of cell biology and entomology at UC Riverside. 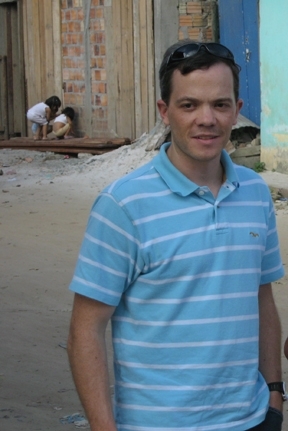 He'll speak on on "Bacterial Toxins in Disease Mosquito Vector Control" at a seminar from 12:10 to 1 p.m., Wednesday, Oct. 31 in Room 1022 of the Life Sciences Building, UC Davis. His longtime colleague and good friend, Bruce Hammock, distinguished professor of entomology at UC Davis, will host him as part of the UC Davis Department of Entomology's fall seminar series. "Aedes aegypti is an important vector of human diseases, such as dengue fever and yellow fever," Professor Gill says. "Its control has been attempted by eliminating breeding sites, using predators and with chemical insecticides. However, such control is still difficult because of operational limitations and the development of insect resistance. Therefore, Bacillus thuringiensis has been used for decades instead of physical and chemical control methods. 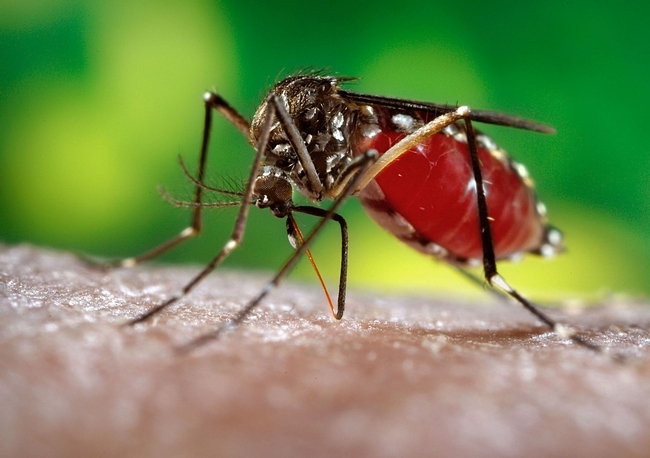 B. thuringiensis israelensis is highly active against Aedes aegypti." "The high insecticidal activity and the low toxicity to other organisms," Gill says, "have resulted in the rapid use of B. thuringiensis as an alternative for the control of mosquito populations. B. thuringiensis israelensis produces a variety of toxins that act synergistically to cause toxicity to larval populations." Gill says his seminar "will discuss our current understanding of the mode of action of these toxins and provide evidence on how resistance to these toxins has not occurred in Aedes mosquitoes in the field even though B. thuringiensis israelensis has been used for more than three decades." Gill’s laboratory focuses on two principal research activities. "The first area attempts to elucidate the mode of action of insecticidal toxins from the Gram positive bacteria Bacillus thuringiensis and Clostridium bifermantans," he says. "This research aims to identify novel toxins, and to gain a molecular understanding of how these toxins interact with cellular targets and thereby causing toxicity. 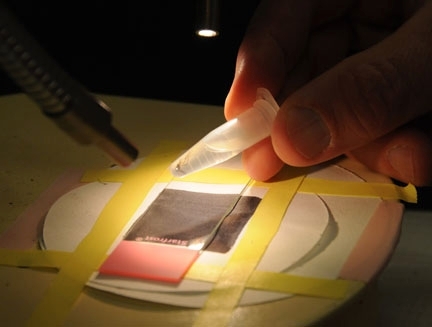 The second area focuses on understanding mosquito midgut and Malpighian tubules function, in particular ion and nutrient transport, and changes that occur following a blood meal." 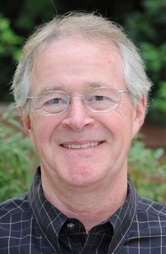 Gill, who received his doctorate from UC Berkeley, joined the UC Riverside Department of Entomology faculty in 1983. He helped establish the Department of Cell Biology and Neuroscience and also served as chair. Currently he is the co-editor of the journal Insect Biochemistry and Molecular Biology. A noted scientist and a fellow of the American Association for the Advancement of Science, Gill received his doctorate in insecticide toxicology in 1973 from UC Berkeley. See his website.